Was Britain's military action in Iraq legal? The legal arguments used by the UK to justify its military action are highly contentious. It is a fundamental principle of international law that states are prohibited from using force except in self-defence or unless its use is formally authorised by Security Council under Chapter VII of the UN Charter. (2) in resolution 687, the first disarmament resolution, passed in April 1991 (after Iraq had been expelled from Kuwait) to expel Iraq from Kuwait if it re-entered. However, the legal advice given by the attorney-general, Lord Goldsmith, on 17 March 2003 was that “the authority to use force under resolution 678 has revived and so continues today”. In other words, a resolution passed in November 1990 to authorise military action to expel Iraq from Kuwait was said by the attorney-general to authorise military action for an entirely different purpose in March 2003. On the face of it, that is absurd, particularly when it is recalled that at most 4 of the 15 members of the Security Council were in favour of such military action in March 2003. In early March 2003, before the US/UK finally abandoned their quest for a 'second' Security Council resolution, the prime minister asked the attorney-general to supply him with “advice on the legality of military action” in the absence of such a resolution. This advice was contained in a 13-page document by the attorney-general dated 7 March 2003. It was equivocal about whether military action was legal, merely saying that “a reasonable case can be made” for it, but the attorney-general stated this position unequivocally 10 days later in a written answer in the House of Lords, on 17 March 2003. There was a lot of controversy about the contents of this advice, and how the caveats in it were absent from his final view of 17 March 2003. But little attention has been paid to the most important part of the advice of 7 March 2003, which is contained in the section entitled Possible consequences of acting without a second resolution (paragraphs 32-35). – Prosecution of the UK by the International Court of Justice (ICJ) was very unlikely. – Prosecution of the prime minister by the International Criminal Court (ICC) was impossible – the Rome Statute didn’t include a crime of aggression at that time. – Intervention by domestic courts to stop military action was very unlikely – the courts had already rejected a bid by CND to stop it. The attorney-general didn’t have to state the most important fact of all which is, as a veto-wielding permanent member of the Security Council, the UK can take any military action it likes without fear of the mildest censure from the Council, let alone economic or military sanctions being imposed to make it halt its military action. 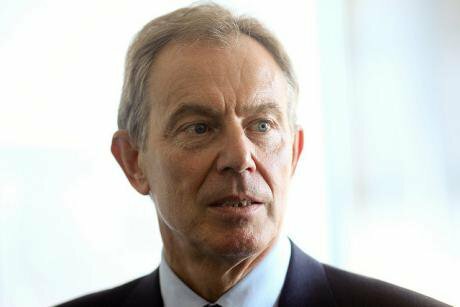 With that, the attorney-general assured Tony Blair that it was virtually certain that neither he nor the UK would be subject to legal action if the UK took military action against Iraq. In other words, taking military action would almost certainly be cost free in legal terms for him and for the UK, whether or not the attorney-general found a way of asserting that it had Security Council authorisation. No doubt, the US would have continued with the invasion and overthrown Saddam Hussein’s regime – the 150,000 US troops assembled in Kuwait for the invasion were not going to go home leaving Saddam Hussein in power – but international support for the US action would have been seriously undermined by the fact that, according to their former partner in the enterprise, the US action was “illegal”. A lot hung on the attorney-general's absurd assertion that a Security Council resolution passed in November 1990 to authorise military action to expel Iraq from Kuwait also authorised military action to disarm Iraq in March 2003, when at most 4 of the 15 members of the Security Council were in favour of such military action. “Following its invasion and annexation of Kuwait, the Security Council authorised the use of force in resolution 678 (1990); this resolution authorised coalition forces to use all necessary means to force Iraq to withdraw, and to restore international peace and security in the area. This resolution gave a legal basis for Operation Desert Storm, which was brought to an end by the cease-fire set out by the Council in resolution 687 (1991). The conditions for the cease-fire in that resolution (and subsequent resolutions) imposed obligations on Iraq with regard to the elimination of WMD and monitoring of its obligations. Resolution 687 (1991) suspended but did not terminate the authority to use force in resolution 678 (1990). “In the UK’s view a violation of Iraq’s obligations which undermines the basis of the cease-fire in resolution 687 (1991) can revive the authorisation to use force in resolution 678 (1990). As the cease-fire was proclaimed by the Council in resolution 687 (1991), it is for the Council to assess whether any such breach of those obligations has occurred. The US have a rather different view: they maintain that the assessment of a breach is for individual member states. We are not aware of any other state which supports this view. The US apparently took this view unconditionally. Britain attached the proviso that the Security Council must have recently passed a resolution saying that Iraq was in breach of its disarmament obligations. In fact, the revival argument doesn’t hold water. If, as the Foreign Office document above contends, 687 was a ceasefire resolution that suspended, but did not terminate, the authority to use force in 678, there would have been no need to include a further authority to use force in 687. The inclusion of this new authority is a proof positive that the Security Council did not consider that the authority in 678 was merely suspended, and would revive if Iraq violated the cease-fire conditions by, for example, re-entering Kuwait. In fact, 687 (1991) brought about a permanent ceasefire and terminated the authority to use force in 678. This is clear from examining 687 in conjunction with resolution 686, passed a month earlier in March 1991. The latter established a provisional ceasefire, but in paragraph 4 explicitly states that the authorisation for the use of force in 678 remains in effect. No similar provision is present in 687. So, the revival argument was used by the UK to justify the use of force in Operation Desert Fox in December 1998, the Security Council having deemed Iraq to be in breach of its disarmament obligations in resolution 1205 passed in November 1998. Operation Desert Fox was solely a US/UK affair, so the opinion of “our partners” didn’t matter. 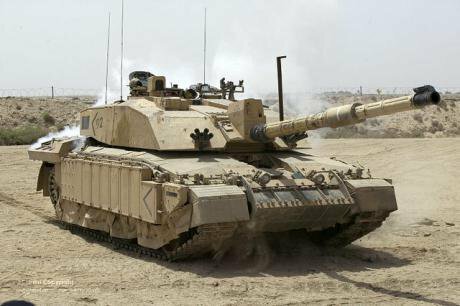 This time, however, the UK was hoping to involve others in military action against Iraq and more explicit authority from the Security Council for the use of force was desirable. And so, in the spring of 2002, the British government decided that it would be best to take the matter back to the Security Council and seek more explicit authority. By September 2002, the US had agreed to this course of action. Resolution 1441 was passed unanimously in November 2002, but it didn’t provide authority to use force, even if Iraq refused to admit inspectors. This gave the definite impression that it was up to the Security Council to decide what should be done after it had conducted its own “assessment” of any non-compliance by Iraq. But, only 4 out of the 15 members of the Security Council supported this resolution, even though it didn’t explicitly authorise military action. At the time, of course, it was assumed that if passed it would have given a Security Council green light to military action, and certainly the UK would have used it to assert that 678 authority for military action had been revived. However, despite President Bush twisting arms and threatening (and bugging the UN offices of recalcitrant members), the Security Council refused to endorse the 'second' resolution. So, the attorney-general was forced to modify the standard British version of the revival argument, set out in the Foreign Office document quoted above – instead of the Security Council being required to declare in a resolution that Iraq was in breach of its disarmament obligations, he adopted the US position that it was sufficient for any individual member state of the UN, for example, the UK, to make such an declaration. “4. In resolution 1441 the Security Council determined that Iraq has been and remains in material breach of resolution 687, because it has not fully complied with its obligations to disarm under that resolution. “5. The Security Council in resolution 1441 gave Iraq “a final opportunity to comply with its disarmament obligations” and warned Iraq of the “serious consequences” if it did not. “7. It is plain that Iraq has failed to comply and therefore Iraq was at the time of resolution 1441 and continues to be in material breach. With that, according to the attorney-general, the 678 authority to take military action against Iraq, originally given in November 1990 to expel Iraq from Kuwait, revived and the upcoming US/UK invasion was said to be authorised by the Security Council. By the same reasoning, any state, for example, Iran, could have taken military action against Iraq with the authority of the Security Council at any time since 1991, if it certified that Iraq was in breach of its disarmament obligations. Only veto-wielding members of the Security Council, who are immune from even the mildest censure by the Council, would dare justify aggression with such legal gymnastics. Part 1: Did Blair promise Bush support for regime change in March 2002?